Every day we’re tasked with making decisions. Most of the time, these decisions are small (like deciding whether or not to floss today). However, small things done consistently poorly versus consistently well over the long-term can have a devastating impact on where you end up, whether in business or in life. It’s kind of like the power of compound interest. I’m no dentist but it’s pretty common knowledge that if you decide not to floss every single day then you’re staring down the barrel of bleeding gums, halitosis, premature tooth loss and yellow teeth, not to mention the link made between flossing and cancer prevention. Similarly, within the context of the office, if I decide to check my email every 10 minutes it might seem like no big deal. “It only takes a second!” you insist. But if checking my email, every 10 minutes, every single day, means that I’m constantly distracted by responding to other people’s demands on my time, and I never give my brain the space to get into ‘the zone’ and engage in what author Cal Newport calls deep work - which is where most worthwhile work is done - then over the long-term I’m unlikely to move the needle on any significant commercial or creative pursuits. 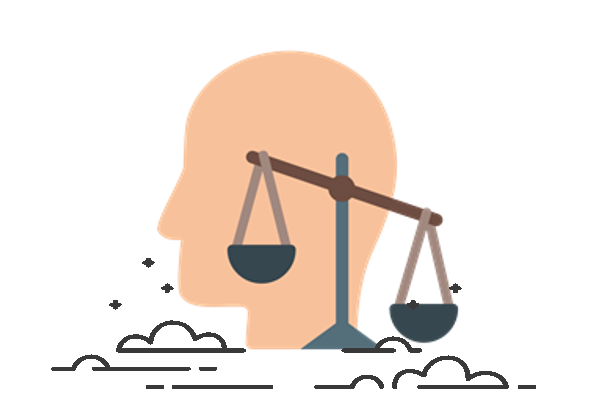 Yet, how often do we really think through our decisions as opposed to base them on how we’re feeling in that precise moment, by past experiences, by jumping to conclusions, through groupthink, by choosing whatever decision requires the least thinking or falling victim to one of the other 32 cognitive biases that plague our decision making. Below I’ve provided one way we go about making decisions at Collective Campus, which admittedly, works best when working in a team of at least three trustworthy, radically honest people who have enough experience in said areas to facilitate a constructive process. That’s not to say you can’t use it when making your own decisions. I do all the time (as somebody who suffers from FOMO, has a tendency to chase furry rabbits and struggles with the plethora of choices on a Mexican restaurant menu, I have no choice but to use this method), and it’s a better approach than how I’ve made the majority of decisions in my 34 years on this planet. I’m not suggesting it’s perfect but I’d go as far as saying that it’s better than the way more than 99% of decisions are made based as it aims to mitigate many of those limitations of the mind and of the environment I outlined earlier. This framework tries to strike the fine balance between making sensical, rational decisions and analysis by paralysis, something that a fast moving, fast growing company like ours can ill afford. 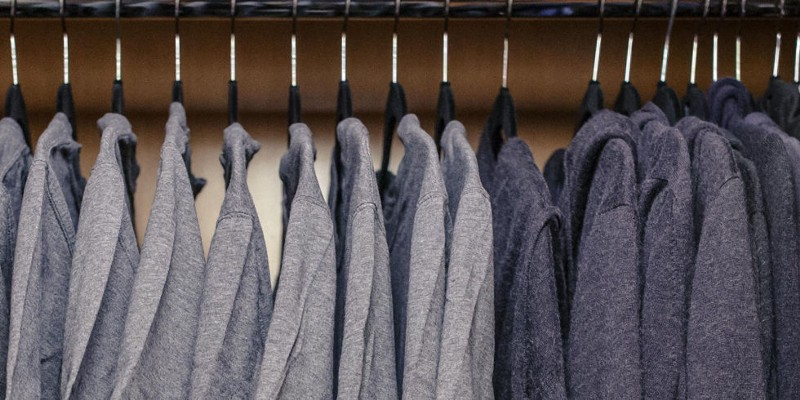 Facebook CEO Mark Zuckerberg famously wears the same thing almost every day because he doesn’t want to choose. Every decision you make depletes willpower, which is what we use to make decisions, so too many pointless decisions ultimately cripples your performance. Not only that, but not having a method to make decisions means that you will find yourself umming and ahhing and expending more energy than you otherwise would using this method. Building on this willpower argument, you should aim to schedule critical thinking and high impact decisions for earlier in the day, when willpower is at its highest. First, are you focusing on the right decision in the first place? Think about your life right now. How many decisions do you need to make, both great and small, today? I’m sure there’s heaps, but how many of these are mission critical? How many of them require a great deal of effort. In my case, I’ve empowered my team to make most of the decisions that come up on a daily basis and only concern myself with the big ticket decisions. For example, we’re in the process of establishing a fund to support our corporate accelerator programs and just yesterday had a discussion to decide on what we think is the best path forward from several potential options. This is the kind of decision that I need to be privy to. Deciding whether the color of a button in an email we send out to mailing list subscribers is blue or green, not so much! When making important decisions with my team such as this one, we always start with a list of potential options and detail the pros and cons of each. However, this is nowhere near enough. How often have you drawn up a list of pros and cons and felt yourself paralysed by the end of it with just as many pros and cons on the page? You probably also had no sense for whether all pros and cons were created equally, which they more than likely weren’t. To take things further and get out of pro/con paralysis, you’ve got to determine your decision making criteria. For example, which key variables should underpin the best fit decision? If I’m evaluating startups to invest in I might look at variables such as the management team, traction, potential to scale, strength of marketing strategy and so on. In the case of our selecting a pathway forward for establishing our corporate accelerator fund, the main variables that concerned us were time, confidence, ease and impact. Time: How long would it take us to explore and successfully establish a fund using Option X? Confidence: How confident are we that we can successfully pursue Option X? Ease: How easy is Option X relative to other options? Impact: Does Option X lend itself to creating more impact, in line with our mission, than the other options? In this case, we simply applied a rating out of 10 to Time, Confidence and Ease and a weighting of 1.1 for Low impact, 1.2 for Medium impact and 1.3 for High impact. It gets a little ambiguous here and you ultimately need to work out a weighting that makes sense for you. I’m conscious that if you get the weighting wrong it could ultimately force you down the wrong path, so as I stressed earlier, having some kind of team consensus and radically honest dialog around these variables, ratings and weighting goes a long way. To avoid groupthink, I borrow a method from agile called planning poker and we each write down, privately, our rating out of 10 for each variable before sharing our thoughts with the group. Any major discrepancy between ratings (two or more; eg. one person selects 8 out of 10 whilst another selects 6 out of 10) will be openly discussed. Perhaps one person has more experience dealing with regulators in the case of establishing a fund and is in a better position to comment on ease or lack thereof pursuing a particular option. We repeat Step 5 until there is consensus (no more than a discrepancy of 1 across the board), we tally up the scores, divide them by the number of participants to get the average, apply a weighting to get to the final score and decide a way forward (see below). Apply a similar thinking to your big decisions and where necessary, pull in people you trust to help you make impartial, objective decisions. Ultimately, decisions about your career should be made by you and not colored by people whose view of the world is colored by different thoughts. Tim Urban of Wait But Why says that the rational decision maker in your brain is co-existing with a pet, the instant gratification monkey. “The monkey thinks only about the present, ignoring lessons from the past and disregarding the future altogether, and he concerns himself entirely with maximizing the ease and pleasure of the current moment. He doesn’t understand the rational decision maker any better than the rational decision maker understands him—why would we continue doing this jog, he thinks, when we could stop, which would feel better. Why would we practice that instrument when it’s not fun? Why would we ever use a computer for work when the internet is sitting right there waiting to be played with? He thinks humans are insane”. 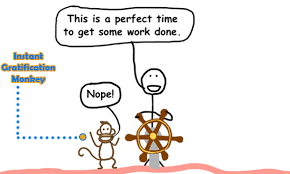 Don’t let your instant gratification monkey make big life decisions for you.